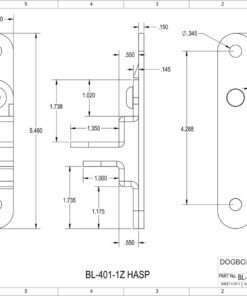 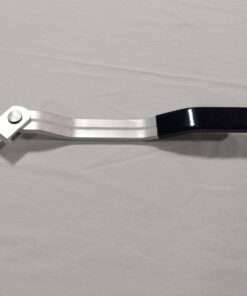 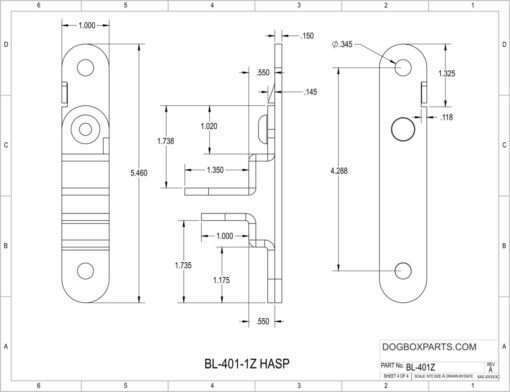 Designed to mount on flush doors, vertical application. 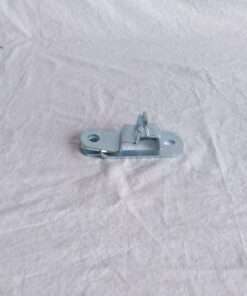 Keepers placed on stationary part of trailer. 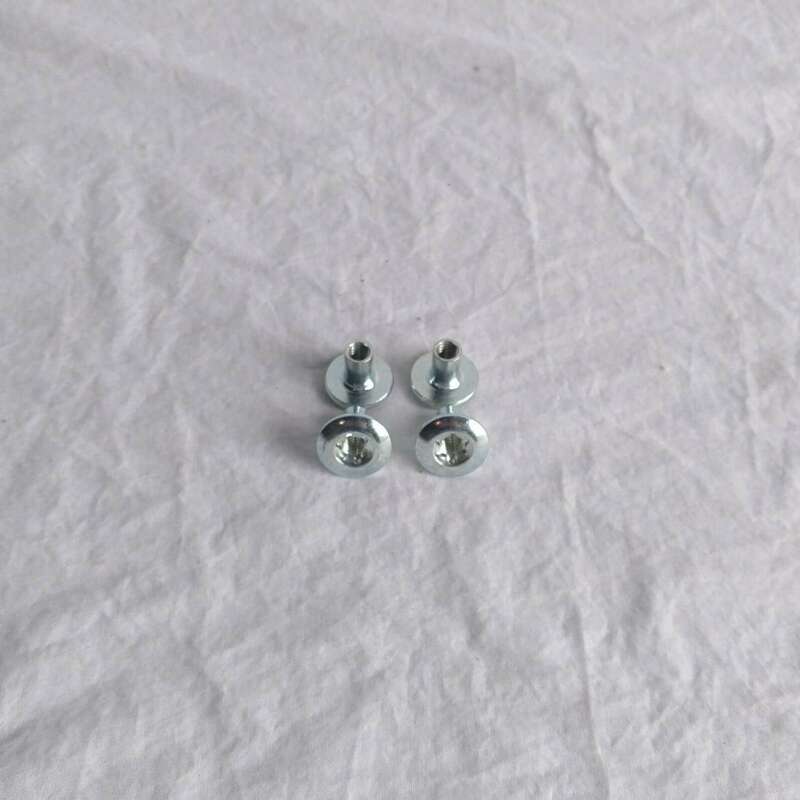 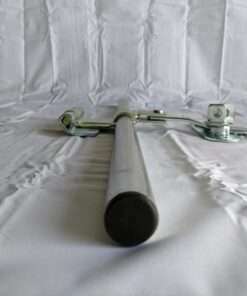 Handle welded to pipe with lugs welded into pipe ends. 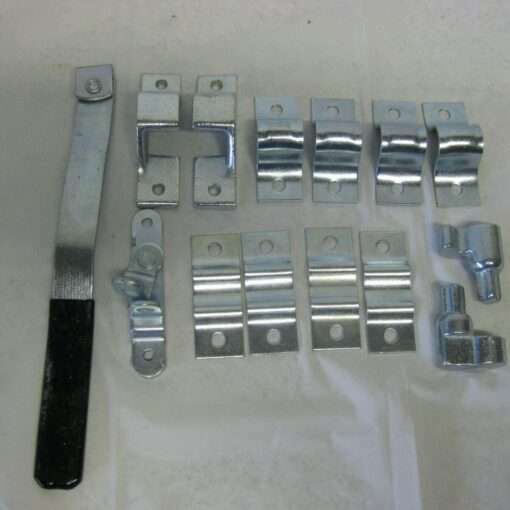 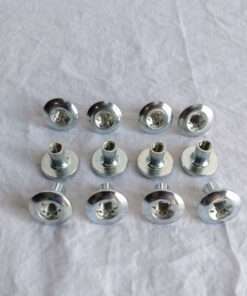 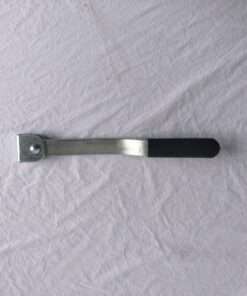 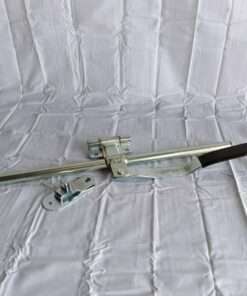 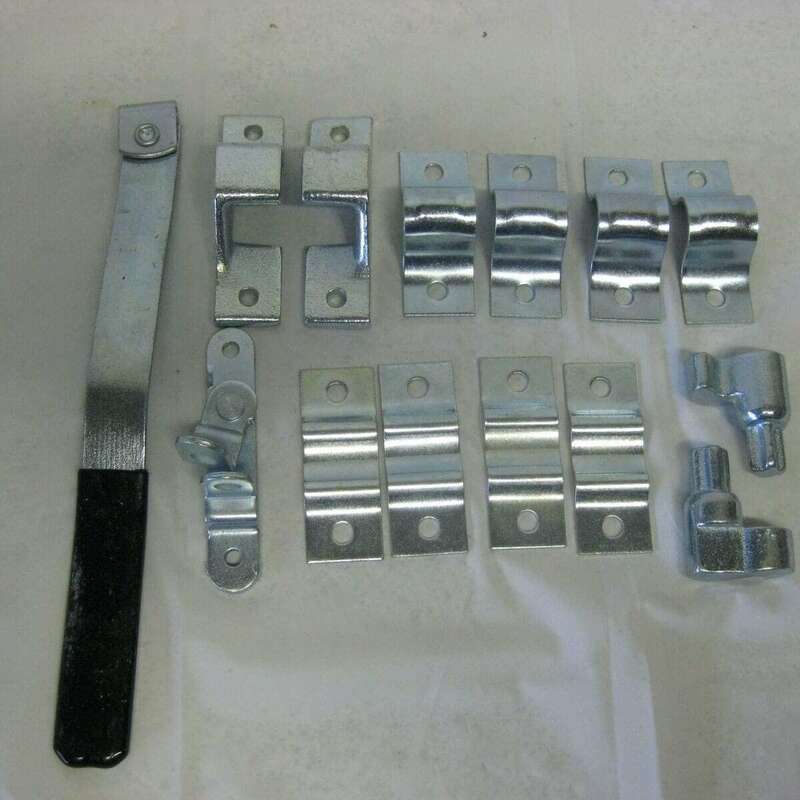 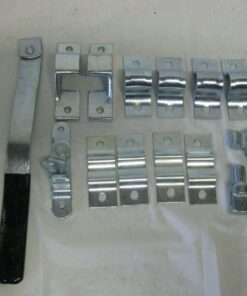 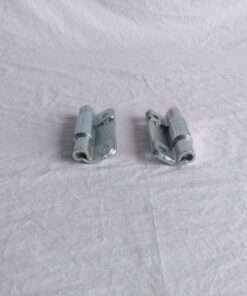 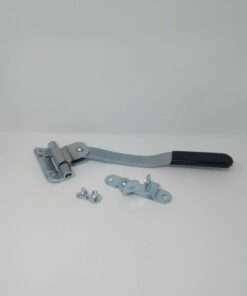 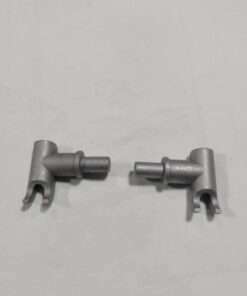 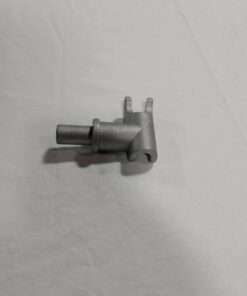 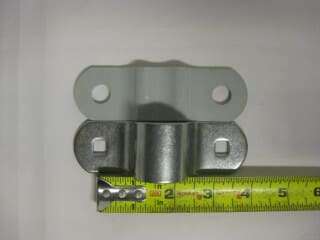 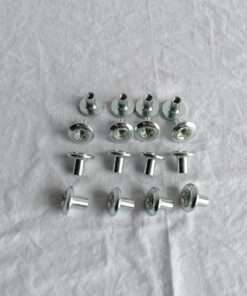 Handle portion and U clamps used to secure pipe placed on fold down or swing away door. 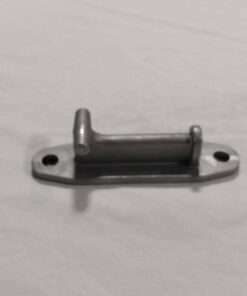 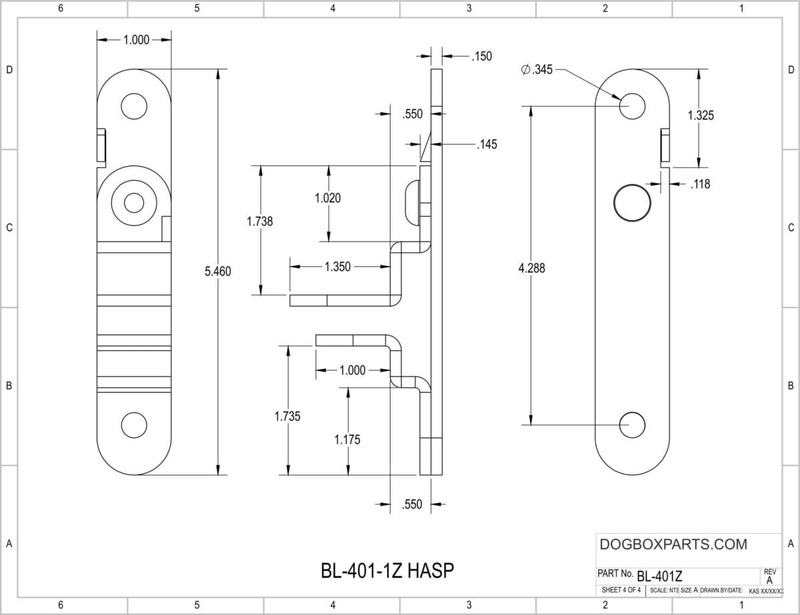 Hasp placed in a position directly under handle to secure with padlock. 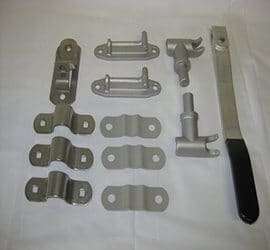 This model can be built to any length required. 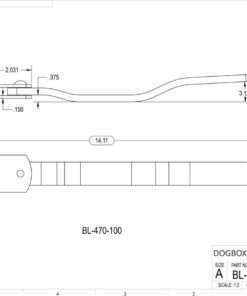 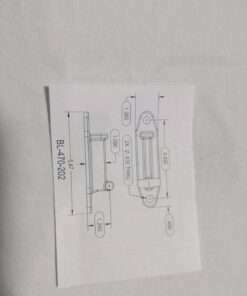 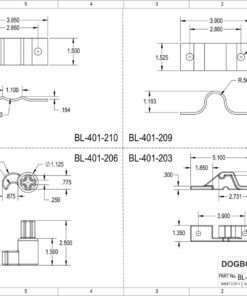 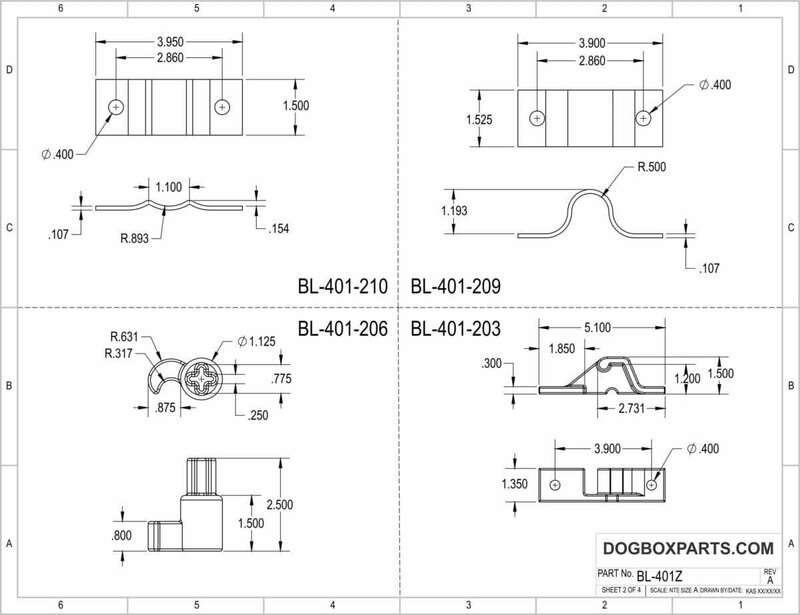 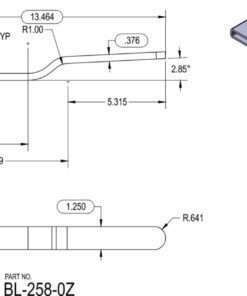 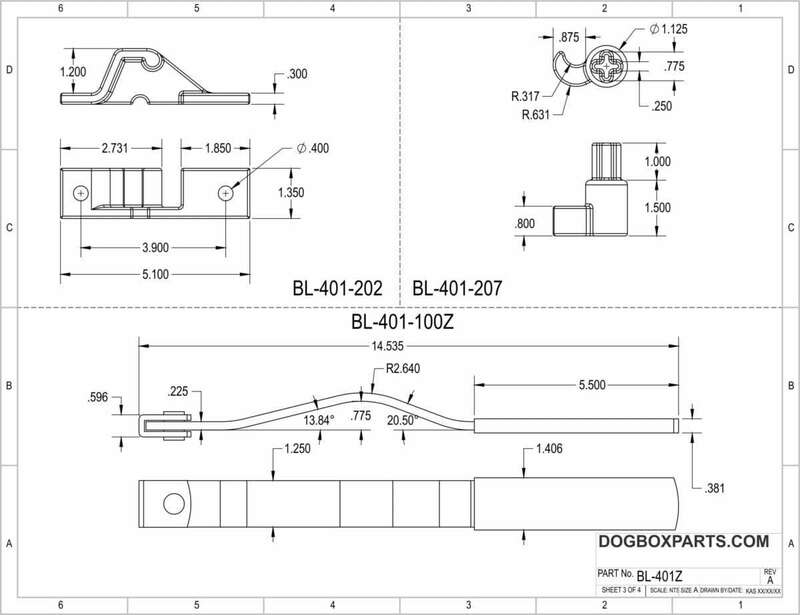 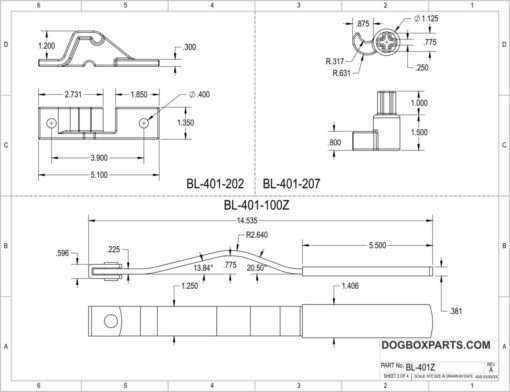 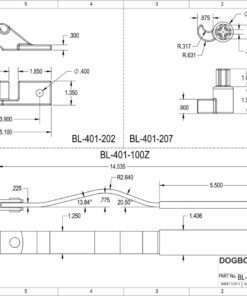 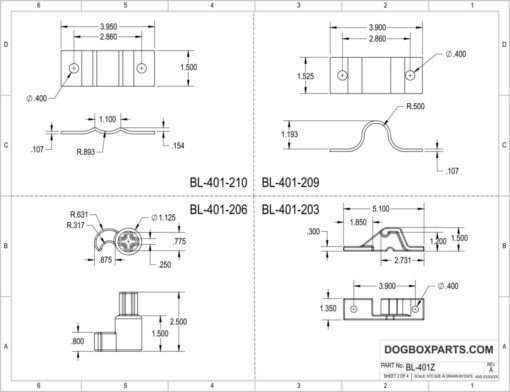 See attached drawings for more detailed dimensions.